Download Free ID Card Mockup PSD. Whether it is a university, college or any workplace, you get to wear your identity card that is hanging around your neck with ribbon or either clip in at your pocket side. You Can Showcase your Identity card template, artwork or company logo in a professional way using this fully customizable Identity card mockup PSD. This mockup can be used to promote passes, Identity cards, membership cards, club cards, VIP access cards, event cards. You can put in your office identity card design inside this free ID Card Mockup and impress your client. This Free ID Card Mockup PSD is designed based on smart objects and You can easily place your design, change background color easily. Hope Identity Card Mockup will help you benefit your project as well. 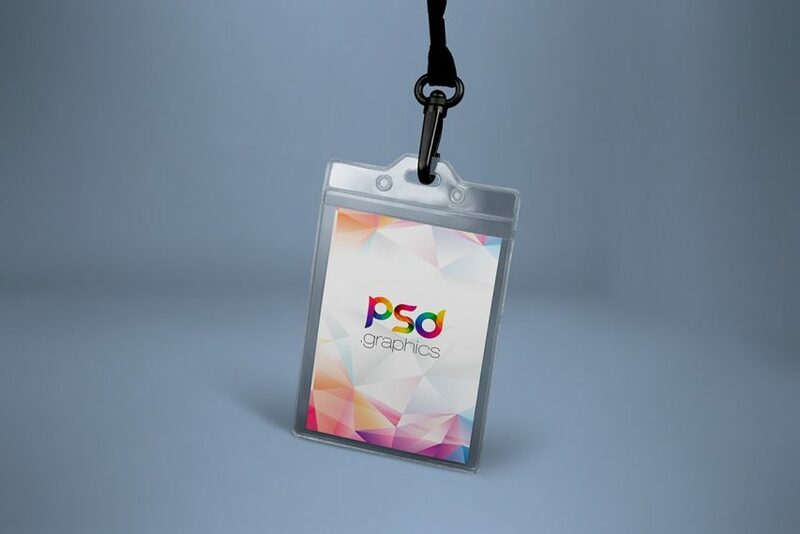 If you like you can download and use this ID Card Mockup PSD freely. Anyway, hope you guys enjoy it and I hope this will help you benefit your project as well. Do not forget to Share if you found this helpful. All in all this ID Card Mockup PSD has a modern and elegant look. This layered PSD resources comes with Easy & customizable PSD file arranged in groups and named perfectly which can save the time to create your own mockup. You can modify this Identity Card Holder Mockup PSD. However, you are free to use this Free PSD in your personal and commercial projects. If you are using this file please give some credits to psd.graphics Hope you like it. Enjoy!